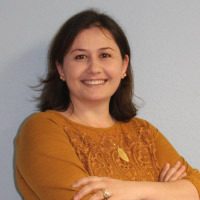 Dr. Renata Rudi Rickels is a Native of Albania. She moved to the United States in 1997 to pursue her education. She graduated from Henderson State University in Arkadelphia, Arkansas with a B.S. in Biology and Minors in Chemistry and Spanish. She also received a B.S Degree in Human Biology from Logan College of Chiropractic in Chesterfield, MO in 2009. She received her Doctorate of Chiropractic in 2011 and a Master’s Degree in Nutrition and Human Performance in 2016 from Logan College of Chiropractic. Dr. Rickels focuses on Pregnancy and Pediatric Chiropractic. She also loves treating the geriatric population. Her appreciation for this great country that gave her all these opportunities in her education is shown through the treatment she gives to our heroes, the Veterans, Police Officers and First Responders of the community. Dr. Rickels enjoys spending time with her family (husband Bill, and two kids Misa 11 and Brison 3). Her hobby is foreign languages. She is fluent in four different languages, Albanian, English, Spanish and Italian. She welcomes diversity in her clinic. She is also a warrior for her faith. Dr. Rickels hopes to see you in her clinic in the near future. She has set up a Meet the Drs’ day for Saturday March 11th. On this day you can come in and check out the changes she has made in the office along with meeting her. 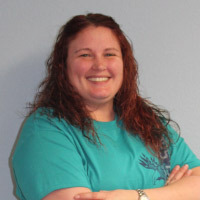 Whitney Roberts is the office manager here at Perryville Chiropractic Center. If you call or walk into our office she would be the one to help you get set up with appointments, sales, insurance questions, and any paperwork you need done. She has been working at our office since October 2015. Whitney graduated from Oak Ridge High School in May 2005. She then started working at Just Kids that August while she went to college full time. She graduated in May 2008 from Mineral Area College with her Associates Degree in Child Development. She then put her degree into use by being the Director at Just Kids for about 7 years (working there 10 years total) and then went to work at Little Miracles Learning Center. She was the Director there for a little over a year when she came upon the job opening at Perryville Chiropractic Center. It was a huge change for her going from running a preschool with 100 plus kids enrolled and managing about 23 teachers on average to running a small office. It was a smooth change for her and she really enjoys seeing all the patients that come in. They always know how to put a smile on her face. In her free time she enjoys spending time with her boyfriend doing things outside. She also enjoys spending time with her family and friends. She loves going on jeep and side by side rides with her boyfriend and friends along with playing sand volleyball every summer and fall in Biehle. Feel free to stop by our office anytime or give Whitney a call. She will be more than happy to help answer any questions you may have.